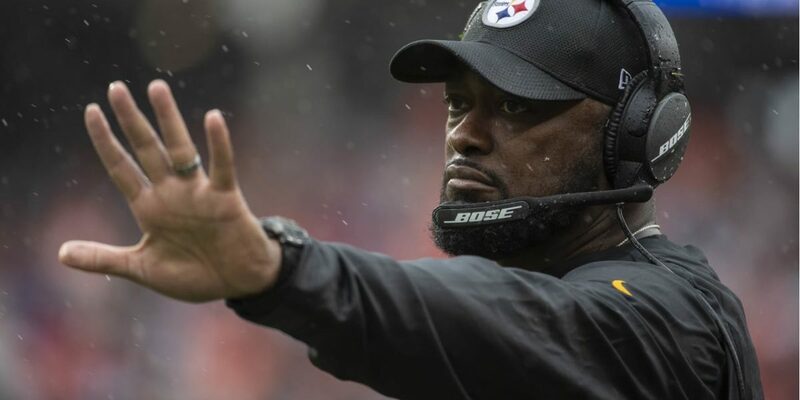 Pittsburgh Steelers head coach Mike Tomlin holds his weekly press conferences every Tuesday. 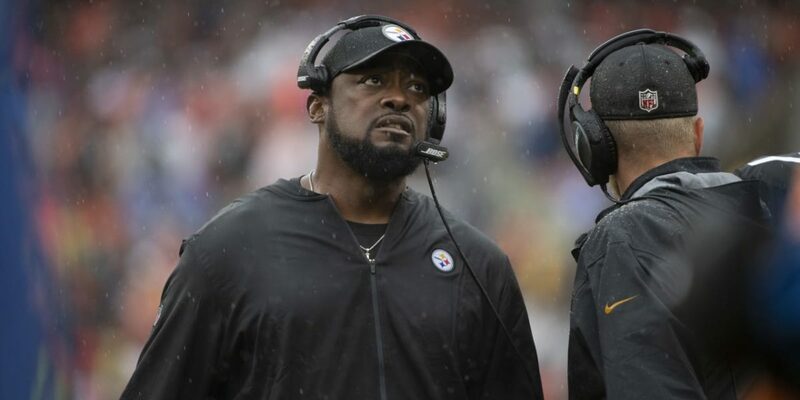 Each week, we will take a glimpse at what stood out from coach's comments about the previous week and heading into the Steelers next game. Good afternoon. As always, I’ll start with a quick assessment of our last performance. I thank much like I said after the game, it’s still an awkward feeling in the evaluation of the performance. Obviously, yesterday went through our normal procedures in terms of analyzing the game in an effort to get better. We did that, we talked about some things we did well. Obviously, we talked about some things that we didn’t do well. Things we need to change, re-analyze logistically our approach to game planning and prep and how it played out. Things that you do after the first performance but the result of the game still kind of leaves that feeling, it does. But we’ll quickly transition as we get ready to move on to this next one. I think we look at the performance, much like I said after the game, I am appreciative of the efforts. There were things in the game that were good. There we certain things in the game that were extraordinarily good under circumstances. Much like we do this time of year, it is important that you build upon those things and work to minimize the negativity. I thought the significant negativity in the game was the turnover ratio and I think that is the lesson learned moving forward. First of all, we are very fortunate to be in the game, turning the ball over six times and only getting one so we are very fortunate to be in the game. We have to do a better job of taking care of the ball. We have to do a better job equally of getting the ball. If you factor in weather as a legitimate factor, whether you choose to or not, if it affected us negatively offensively, it should’ve also affected the Cleveland Browns negatively. That’s why I talk about not us turning the ball over six times but us not turning the ball over six times and not getting turnovers. The ratio, the margin, minus five is what made it significant. Had we gotten more turnovers maybe the game would’ve turned out differently. So, the challenges are for us collectively. We have to look at why we didn’t produce more turnovers given we played 90-plus snaps through almost five quarters of football and obviously we have to look at doing a good job of taking care of the ball better on offense, based on that performance. But all in all some things that were positive, the run game development offensively, young guys have gotten a lot of attention like James Conner. I thought he performed well largely. Some new components on defense. The back end, the growth and development. I thought the guys were close and competitive from a coverage standpoint. I thought that the pass breakups, and the pass break totals were reflective of that. I think we have to do a better job of finishing to get more turnovers. We touched some balls. We only caught one. I think that will define groups as we move forward. I like some things I’ve seen in the kicking game. I thought we did a good job of getting Ryan Switzer infused into our football game in the kicking game but also in a few spaces offensively. I thought that was encouraging. I like our overall exposure in the first regular season game action to the new kickoff structure. We had several instances where we pinned them down inside the 15 with our coverage unit. We always got out beyond the 25 with our return unit and you can’t underscore that as we all get comfortable with the new structure of the kickoff and the kickoff return element of play. I liked what we did there so lessons learned in all three phases. Some good, some things we need to do better. We’ll learn and move forward. Now we’ll move forward, now we turn our intentions like we always do to the next challenge, and that is Kansas City. Before I get to it, I’ll talk on some injuries. Joe Haden didn’t finish the game with a hamstring injury. We are evaluating that and his availability for practice. We are going to let that availability be our guide in terms of the game. We’ll see if he is available to some compacity tomorrow and let’s see if that availability grows as we push throughout the week. David DeCastro has a hand fracture that’s being looked at and dealt with. It happened in game, he was able to finish the game. It may affect him from a participation standpoint in practice at least as we get started in this week. We had some other bumps and bruises along the way. Tyson Alualu with a shoulder. 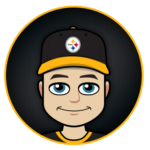 Ben’s [Roethlisberger] elbow may limit him at the early portions of the week. Like we’ve done with him in the past we oftentimes limit him at the early portion of the week anyway. It aids in the growth and the development of the young passers, etc. His cumulative body of work over his extended career helps in that charge, as we always do. As we look at Kansas City, we’ve been very familiar with these guys. They’ve been very familiar with us. We have played them a lot in recent years but the things to be on guard about and not seek comfort in that familiarity. It’s a new season. They’re new critical components from a player standpoint, there are new critical components from a coaching standpoint. We’ve got a new offensive coordinator, I am sure they are trying to figure out how that weighs in their preparation. They have a new offensive coordinator, in Eric Bieniemy, I am sure that is weighing into our equation in terms of how we prepare. New significant components from a player standpoint. [Patrick] Mahomes is their quarterback, although he is not new there to them this year, he is a new signal caller. Alex Smith has been a central component of the matchup in recent years. Derrick Johnson, their defensive signal caller for over a decade, is not there anymore. So, there are certain things, even though we played these guys a lot, that make it somewhat different along with it being a new year and the growth and development and change that naturally comes with new season. I have a lot of respect for coach [Andy] Reid and company. We have been competing against those guys over the years. You know they are capable of attacking you in multiple ways with people on offense. The utilization of people one offense, the utilization of people is big. We have to work to minimize [Travis] Kelce’s impact on the game. They have a big dynamic tight end. He has been a big component of the matchup for years. He didn’t get a lot of touches last week. I do not think that is reflective of his role within this year’s group. As a matter of fact, I’d imagine it is going to intensify our exposure to him this week. We have to work to minimize that. Tyreke Hill is a unique talent. He just is. Had an opportunity to spend a week around him when we were down in Orlando, at the Pro Bowl. He is an awesome guy, dynamic player, we’ve known about his kick return capabilities, his game changing kick returner capabilities for several years. I think when you look at last week, Week One, I think you see continued growth as a wide receiver in the way that they utilize him in the offense. He started off early in his career, strictly as a kick returner, and gadget guy. He got infused and became a core offensive weapon. I think last week showed that he is the Chiefs receiving threat. His ability to blow the game open, take a short pass and turn it into a long game is something to be contested. He’s a talented guy. [Patrick] Mahomes is a sharp guy, interviewed him through the draft process when he came out. He’s got really unique arm talent. He can make any throw on the field. He can release it from a variety of positions. He can throw stationary. He can throw on the move. He’s got an awesome repertoire of physical talent. He’s a sharp kid, he just is. He’s mature beyond his years and conversing with him. I think it’s reflected in the amounts of things they were able to do last week, in Week One. The changes of personnel, the obscure things, the designed quarterback runs, the gadget plays, he managed it all, and managed it all very well and managed it in a road game environment. Can’t underscore the Heinz Field element of this matchup. 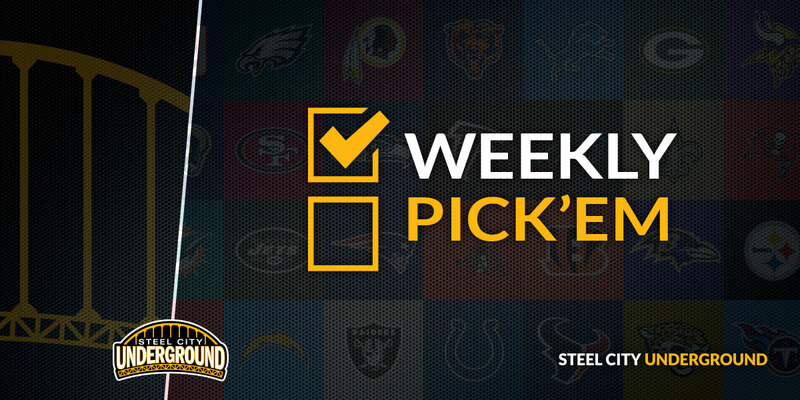 I am excited about being in Heinz Field and having Steeler Nation support us. He was in a road game environment last week, but that was a unique road environment with the stadium situation in L.A. Man it’s going to be awesome to have 65-70,000 supporters in a home environment. I think it can be significant in terms of trying to slow down their pace and some of the things they do offensively. Defensively, under coach [Bob] Sutton they have been together for a number of year. They have some core guys, some guys that we’ve had matchups with in the past and are still major components. I spoke earlier about Derrick Johnson not being there and him being a defensive signal caller for a number of years and the change that is associated with that. But they do have some guys that have been there. The defensive line, Chris Jones, is a talented young player, been a key component for them for a number of years. Talented interior rush men. They went out and acquired Xavier Williams in restricted free agency. He’s an anchor point that probably without that signature anchor point since they lost [Dontari] Poe a couple of years ago in free agency. They went and addressed that. Williams is a load inside. At the outside linebacker position, they have two very well-known weapons in [Justin] Houston and [Dee] Ford. They move those guys around. Everybody has to be prepared to block them. They rush on both sides, they flop, both of them are capable of rushing inside. I think Dee Ford got the first sack of the game last week and the interior rush on a guard. They are talented people. They have been. We have to work to minimize their impacts on the game. Talented rush men dictate a lot that goes on in the passing game. At the linebacker level, they have some good guys that they have been developing [Reggie] Ragland, and others. I mentioned Derrick Johnson not being there, but they’ve developed young talent. They drafted a young speed guy out of Clemson that’s a capable coverage man in sub package linebacker. Been watching him on tape. They have experienced guys in the secondary. They went and got [Orlando] Scandrick. Scandrick played a lot of ball, sub-package, nickel, and so forth. They have a lot of capable coverage people. They mix a lot of things up. Last week the mix of zones, zone pressures, and bogus pressures particularly on possession downs is challenging and we have to work to meet those challenges. Obviously, in the special teams game they are explosive. It starts with [Tyreke] Hill, we have to work to minimize his impact on the game. We always work to do that but collectively, whether it is he or [De’Anthony] Thomas or others they have an awesome special teams unit and it goes beyond just Tyreke to be honest with you. Their coverage units are rock solid. They have a core group that includes guys like [Anthony] Sherman the fullback as a core special teams player, a solid player for them, much like Rosie Nix is for us. It is going to be a challenging and exciting game. We are excited about preparing for it. We are excited about getting back to work with our guys tomorrow in search of our first victory and particularly our first victory at Heinz Field. How did Bud Dupree do at his new outside position? I thought Bud [Dupree] had a similar performance in that. He was productive. The switch revealed itself and its skillset. We’ll continue to work. We are going to ask those guys to be versatile and to move around. You nail those guys down as young people, so they can get muscle memory associated with skill development at their positions but as they get older we’ll continually move them around. It provides flexibility for us, it’s more that our opponents have to work on. That is very similar to what Kansas City does with Houston and Dee Ford, so it’s not earth shattering but in terms of that tandem it is new for us because we are acknowledging that they are becoming veteran players and we are more willing to do more and different things. Who fell under the category of extraordinary? You know I thought T.J. [Watt] was one of the really good performers. I thought our coverage units, Tyler Matakevich in particular was really good. Just to name a couple, that’s nothing unique. I think anytime you play you have things that are good, bad, really good, or in some instances really bad like those performances and some others. How much do you attribute T.J. Watt’s success to the switch to the other side? I think time will tell. I’m not going to try to paint with a broad brush after one performance, but I will say that I’m not surprised that he had an impactful game. It was schematically set up for him to impact the game and he did. Is this something new with Ben Roethlisberger’s elbow, or similar to last year? Just the bumps and bruises associated with play. That was the post-game, if you will. We’ll see how he is tomorrow morning and let that be our guide. It’s just full disclosure from my part, just because I know that you guys will ask. Sean Davis, who was your only defensive player to play every snap, was doing so at a new position. What did you think of his play? I thought he had some really good moments. I liked the breakup down the middle of the field early, the clean breakup where he, it was a defenseless receiver-type play, and he did a good job of not hitting the guy in the head and neck area and not utilizing his head. Things like that – he’s new to the middle of the field, so to see him make a play like that and do so cleanly, is encouraging. He tracked the ball and had an interception that was negated by penalty. He broke up another big play on a play-action on a third-and-one down the field. So, I thought I saw some really good middle of the field things. It was a good start, but again, you can’t paint with a broad brush. We’ve been in one stadium. We’re working. We’ll learn more about ourselves, individually and collectively, as we continue to step into more stadiums. In a very similar way. The approach is no different. None of us coach full bodyweight on the quarterback. None of us coach lowering the crown of our head to deliver a blow. So, it’s just identifying it as a point of emphasis, an element of play we want minimized or removed from the game, and the professionals do the rest. We’ve worked extremely hard to put Sean Davis in the frame of mind that he makes the type of play that he made, but Sean Davis made the play. I didn’t make the play. So, we’ll continue to make the points of emphasis. The guys have done a good job of making those points of emphasis reality in terms of how we play. We’ve got to continue to work and improve in those areas. We had a roughing I think on T.J. [Watt] against Tyrod [Taylor] in the early portions or the game. We’re just going to work our tail off to play within the rules, because if you don’t, it doesn’t help your cause in terms of winning football games. I haven’t spent a lot of time looking at global issues relative to what happened in other stadiums. We’re really concerned about what’s going on in ours at this juncture. What’s the biggest challenge with Tyreek Hill’s speed and how they use him all over the field? It’s just, you know, speed kills. They get him in space. They’re capable of moving him around on offense. I think the longer he’s there, the more engrained he is in the offense, the more it becomes problematic down in and down out. He’s just a talented player, one that has to be minimized, because every time the ball snaps, he’s capable of running through the end zone. I think I just saw a stat this morning – he’s got more 50+-yard touchdowns I think, than anybody in football since he’s been in the league. That doesn’t surprise me. I think it’s 13 or so. That’s reflective of not only his speed, but his talent, and I think vision is an element of that. He’s a great open-grass football player. It’s both. It always is. Any element of ball security is two-fold, whether you’re talking on the defensive side in terms of your opportunities to get it and how you seek it, or whether you’re talking about securing it on offense. It always is. Did Vance McDonald suffer a setback late last week? Penalties? I just look at penalties relative to our opponent. That’s the one thing that’s constant – the in-stadium element of it. Sometimes games are highly officiated and there are a lot of penalties, sometimes they’re not. I always look at penalties relative to the people we compete against. I think that’s the true barometer. What does James Washington have to do to get more snaps? He’s just got to keep working. He’s a young guy. He’s made some plays in preseason football. He’s made some plays in a training camp-like setting. He played some on Sunday. That will continue. It’s just the natural maturation process or development that all players go through. What happened with him Sunday is no reflection of the trajectory of his career whether it was positive or negative. I think it’s important that young guys just wipe the slate clean and clock in and come to work each and every day and don’t over-analyze the here and the now because the reality is, in the big scheme of things, he’s been here a very short period of time. I know it seems like he’s been here a long time for him. He just needs to keep coming to work, as do all the others. Did his abdomen injury limit his work at all? Were you pleasantly surprised by Ryan Switzer’s performance or were you expecting that? Is there any reason to suspect that Ben’s elbow problem affected ball security or accuracy? I don’t know that that has been the case. I probably don’t describe it that way. We respect those guys. They’re a tough group to operate against. We probably had a couple good running days, but we’ve had a couple good running days anyway. We’re committed to running the ball each and every Sunday. I’m sure that they’re going to work their tails off to minimize that element of play for us. It’s just the element of the matchup I think. It’s always going to be that when we step into stadiums. I think that’s always our intention to have offensive balance, to be capable of running it when we choose, with whom we choose and in whatever personnel groups or situations we choose. I imagine it’s tough to gauge what they do against the run because they got out to such a big lead early against the Chargers. You know, they’re going to do what they do. I don’t know that it changed much. It maybe changed how [Los Angeles] attacked them, but [Los Angeles] throws the ball a bunch anyway. They’ve got Philip Rivers at quarterback, so I don’t know what you would have gleaned from that regardless of the flow of the game. With all the due diligence you’ve done on quarterbacks over the last few years, how deep did your file go on Patrick Mahomes? Significant, but it’s just an exercise in information gathering and the learning process for us. That’s why I was able to talk at length about the things that I saw from him and the things that I appreciated about him from a talent standpoint in the draft prep process. Did you figure he would go too high for where you guys were picking? I’m not getting into all of that. I respect the guy and his talent. I can’t even remember where he was taken. Was there any thought on using Stevan Ridley or was Conner performing well enough that you just went with him? We have no reservations about using any of our guys who are suited for the game and are willing and capable. James Conner was doing well, was in great physical condition like we mentioned in here several times. We infused Ryan Switzer in some by concept. That’s just really kind of how the game unfolded. How can you address Antonio Brown’s drama on Twitter? Guys, don’t ask me about social media things. We can talk all day about things that are online or on the Internet or on social media. I just choose to stay away from it because it’s a waste of my time. There’s very little accountability. There’s very little journalistic integrity, etc. Guys say things they don’t mean. I talk to my teenagers about it all the time. Let’s keep it professional and in the real. I think that’s appropriate in this setting. Did you ever get an explanation why pretty much everybody saw or thought they saw the ball hit off the Browns player Nick Chubb that you guys would’ve recovered off that punt except for the replay officials? I’m not asking for explanations. The way that I look at it is it’s an opportunity for us to grow because sometimes things happen in football that are outside your control, and sometimes you feel like you’ve been wronged. All of us saw the ball hit that guy. Their returner [Jabrill] Peppers saw the ball hit that guy because why else would a returner insert himself into that scrum trying to recover the ball unless he was sure the ball hit the guy. So that’s the approach that we’re taking as we move forward. Once a decision is made, there’s nothing else that you can do about it. You’ve got to move on. You’ll miss the next opportunity to win the game in some way if you spend time crying over spilled milk. We had other opportunities to secure that game after that. So that’s where our focus is in terms of using that as a teachable moment. Why that play was not corrected, I have no idea. Ask New York. They felt comfortable talking about [how] the hit on Ben was inappropriately officiated. I’d be interested to see their comments regarding that play. I haven’t taken time to ask because I’m busy preparing for Kansas City. Have you had any recent correspondence with Le’Veon Bell? Have you received any clarity on when he might come back? No, I have not, and from that perspective, nothing has changed regarding us. We’re preparing to play this week with the guys who are here and working – James being central to that. I will not withhold information from you guys. If, and when, any of that changes, I’ll let you know. If it does not, my answer will remain the same. James had a heavy workload for the first time in a couple years last week. Will he have to be watched a little this week? I watched that guy tote that ball a lot next door. I think he’s been doing that for a long time. I think he’s used to that. I think he gets better with use. I think that was one of the things that was attractive about him. I know – what was it – I think it was his sophomore year when he scored all those touchdowns, I mean, he likes to carry the football. He warms up to it. How much does his fumble affect your assessment of his performance? I’m not overanalyzing that play. It’s a play you’d like to have back. It’s a play he’d like to have back. It’s a play, from a blocking standpoint, we’d like to have back. They had a guy in the backfield chasing him. So, it’s just football. We’re not going to overanalyze it. We’re definitely not going to have an overreaction. We don’t wait for things to happen to preach ball security. Since day zero of our offseason, I’ll walk past the running backs and stress, take care of the football. It’s going to be a good day as we do those things. I say that every day. I probably said that to him every day he’s been here, so I’m not going to change now. With Ben’s bumps and bruises, should he still be good for Sunday’s game? Guys, I outlined it. It may limit his participation in the early portions of the week, and we’ll let that be our guide as we move forward. There was another review on the fumble on the sideline. The Browns fumbled. It hit the pylon. Did you get a good look at that? Refer all those questions to New York. I’m not going to do their jobs for them.